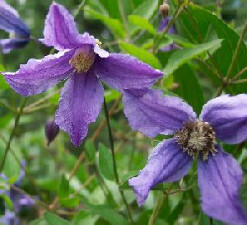 Blue Boy Clematis: blue flowers for your summer garden. 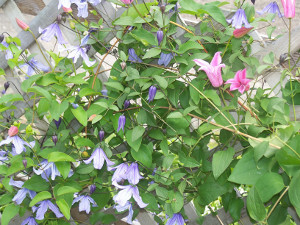 Blue Boy doesn't climb, so you don't have to provide a trellis. He will scramble through a shrub or along the ground. design options. Here he's combined with Duchess of Albany.